I know everyone is searching for best ad network for androids with highest paying and CPM/CPC based ad network. Because CPI based network like Chartboost (for games only) will help you to get maximum eCPM but the daily revenue will be not constant. 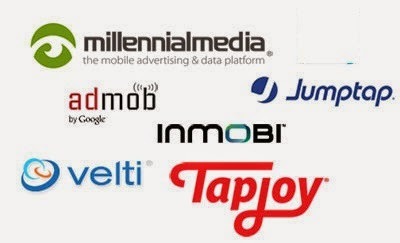 As of now Google's Admob is best and highest paying eCPM network. Its CPM/CPC based network. No matter if your app doesn't earns the installs. This network will monetize your app/game constantly. But from last week Google's Ads guidelines is changed, many developers get the alert email from Google itself that "Google AdMob ad serving has been disabled to your application, Google told This email is to alert you that one of your applications is not currently in compliance with our AdMob program policies and as a result, ad serving has been disabled to your application. ", Google said "This includes any implementation that may encourage accidental clicks", what will you do in this situation. Google forcing many developers to move to other ad CPM based ad network. "I just answered the question at Quora Question-Answer online website, & got 2000+ views in just 2 days!"